Rental Bulgaria collects and uses your personal information to give you superior customer service, to provide you with convenient access to all we can offer you, and to make a wider range of services available to you. From time to time, we may also use your personal information to contact you to participate in a market research survey, so that we can gauge client satisfaction and develop better services. We collect information about you in several ways. For example, we may ask for your contact details when you correspond with us, call us to request service or fill in a form on our web site. Rental Bulgaria works with other companies that help us provide our services to you, and we may provide your personal information to these companies. For example, we may give your details to a 3rd party contractors to allow them to provide services on Rental Bulgaria's behalf. The information they receive is partial, Rental Bulgaria will only provide the necessary information to outside companies and individuals. At times we may be required by law or legal process to disclose your personal information. We may also disclose information about you if we believe that disclosure is necessary for the public interest. If you have any questions about your privacy, do not hesitate to contact us. Rental Bulgaria secures the data you send us with physical, electronic and managing procedures. We urge you to take every precaution to protect your personal data when you are using Internet. Change your passwords often, use a combination of letters and numbers, and make sure you use a secure browser. 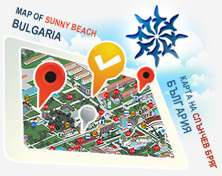 When you browse Rental Bulgaria’s website, you are able to do so anonymously. Generally, we don’t collect personal information when you browse, not even your email address. Your browser, however, does automatically tell us the type of computer and operating system you are using.